Isn’t it, Gals! 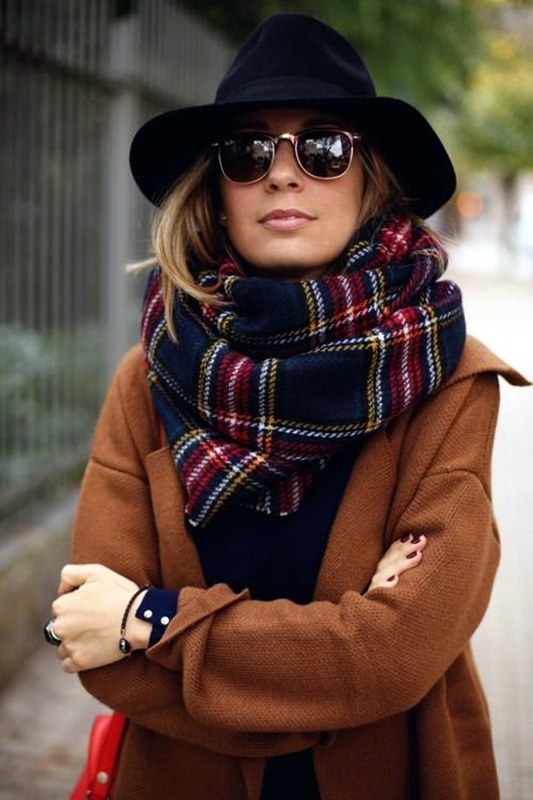 Of all the winter accessories out there, the scarf is the most versatile piece to add to your wardrobe. 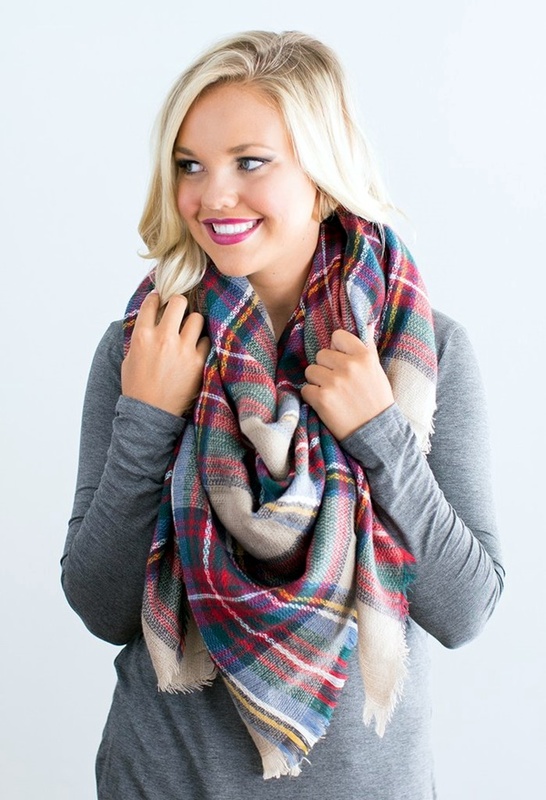 Scarves are amazing and can take any simple outfit up a notch! But, do you know in order for a scarf to make your outfit even cuter, you must understand how to wear one. Yeah…we are talking about scarf draping ideas. There are so many options! This one piece of fabric can literally be worn in a million of ways. 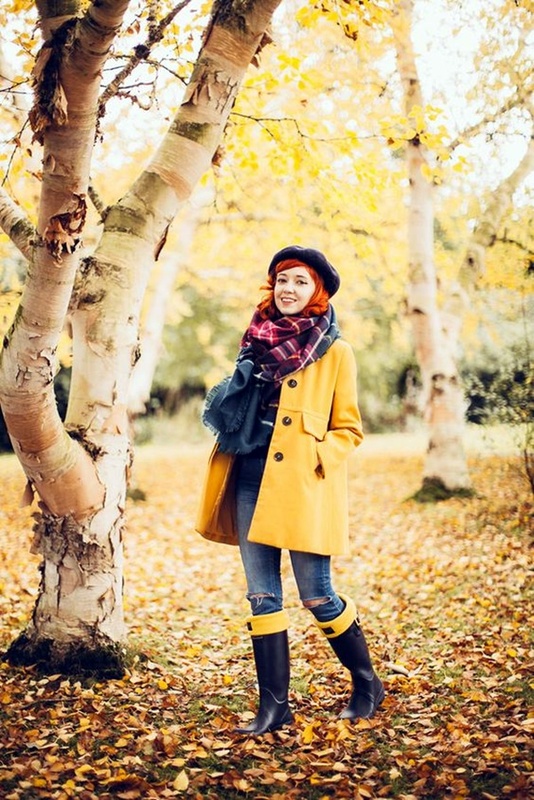 If you’re looking for unique ideas on how to wear a scarf, then this post is for you! 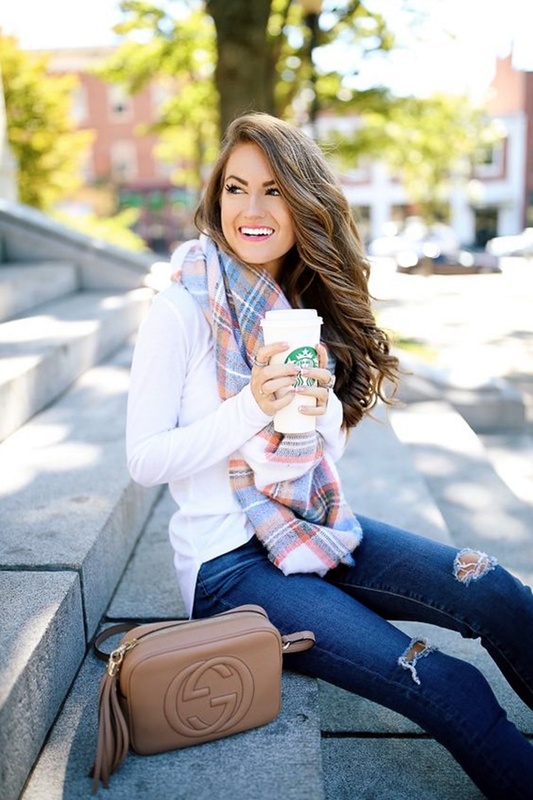 We are extremely excited to show you 8 easy and classic ways to wear trendy scarves this fall season. Here is the list of 8 attractive hairstyles for curly hair, women can adopt to achieve chic, sweet looks in 2016! They can be extremely oversized, lightweight, wider the circle, overly chunky and the more creative you can get. Check and Enjoy! 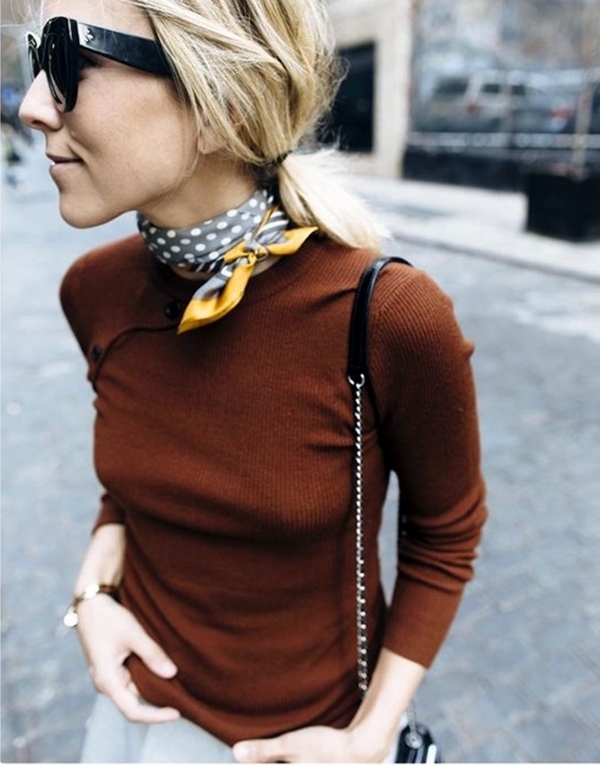 Is this your favorite way to tie a scarf? 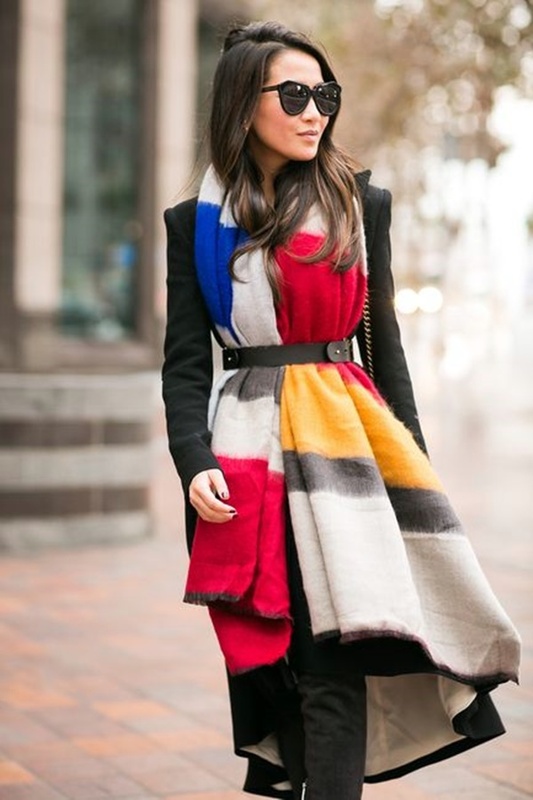 Simply drape scarf over your shoulder from one end and stretch it slightly longer than the other end. Then, loop the longer end around your neck. 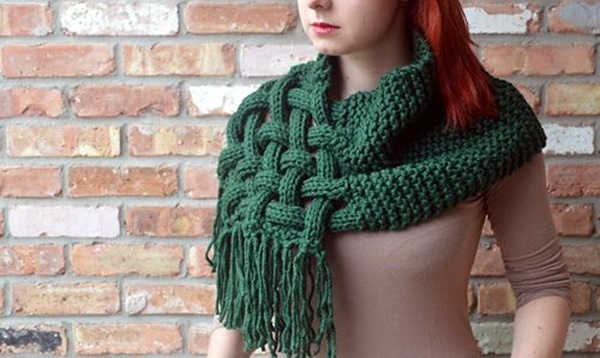 At end, adjust loop over neck and balance out the ends of the scarf! 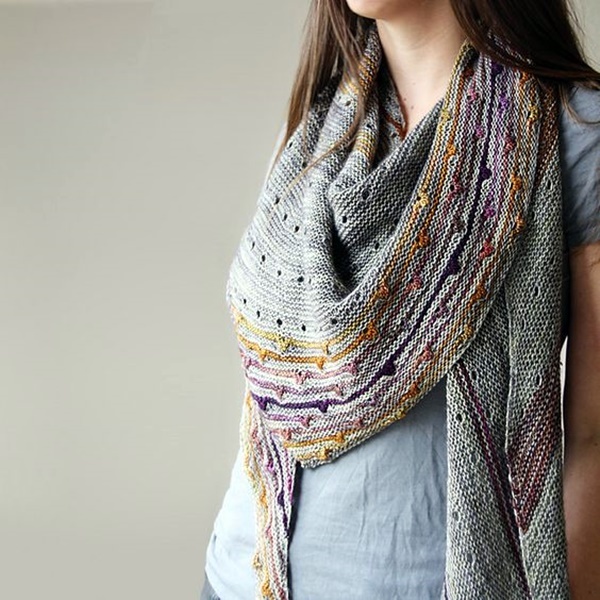 If you’re not sure about what to do with a long scarf, try the infinity loop style! 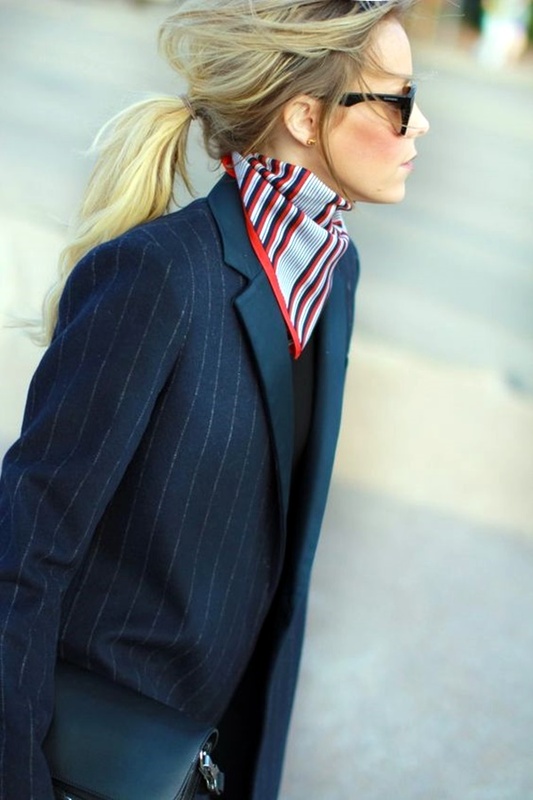 You need to drape scarf over shoulder, so that both ends are equivalent. Then, starting from bottom of both ends, tie two overhand knots and assure that the first knot does not slip. Twist the loop, so that it’s shaped like an ‘8’. This is among coolest scarf draping ideas! 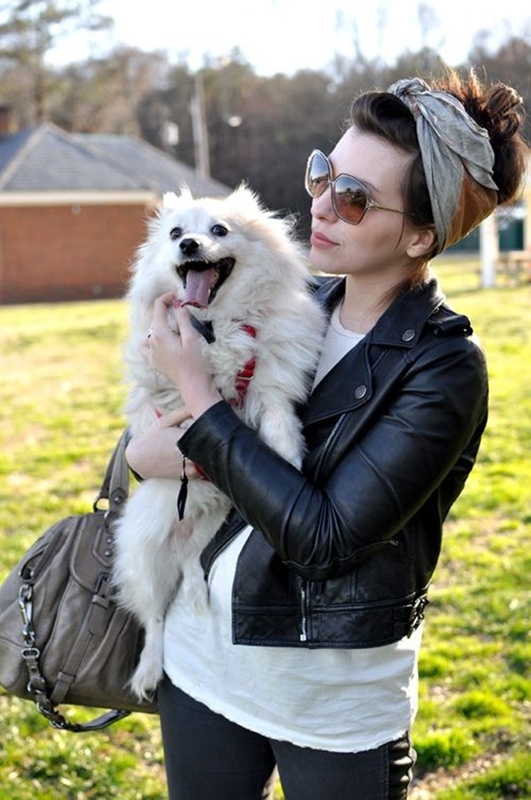 Many girls love this scarf style as it’s impressive and easy-to-do! To cut a dash, you can call a stylist at home, but it can cost you an arm and leg. 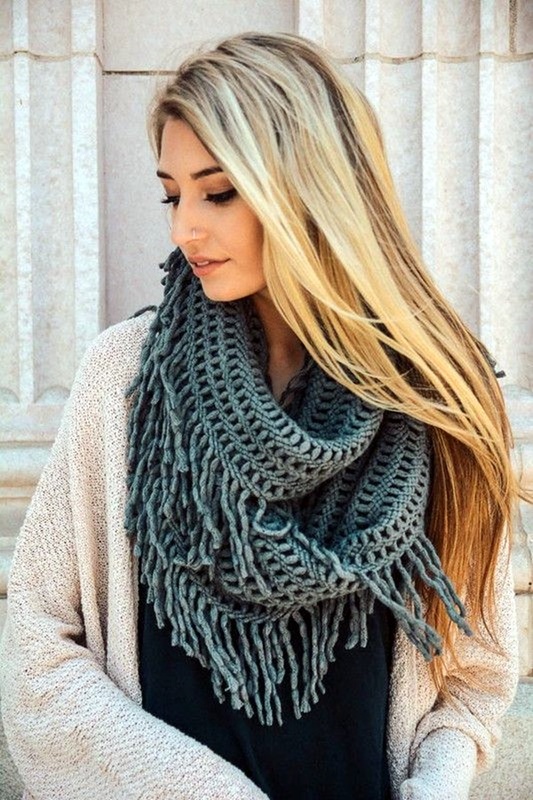 You need to wrap the scarf behind the neck. Take one end, wrap it around your hand and pull it through to make a loose knot. Now, move to other scarf end and pull it through the side knot straight away to the knot loop and then over it..! 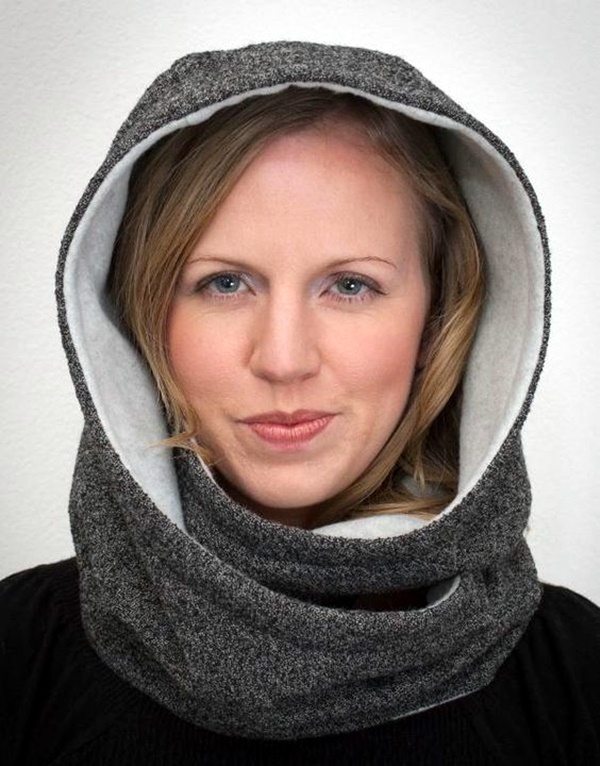 Aren’t you excited to know that infinity scarf can be worn as a hood? 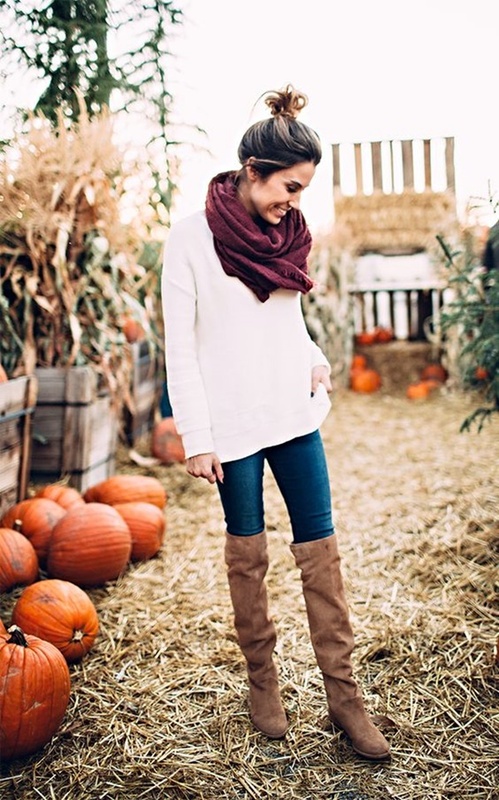 If your favorite scarf is short in circumference, simply drape it over your shoulders in a classic style, then pull the back portion up and take it over your head like a hood…and you’re ready to rock any casual college function! Are you fond of trying more advanced version of the scarf? 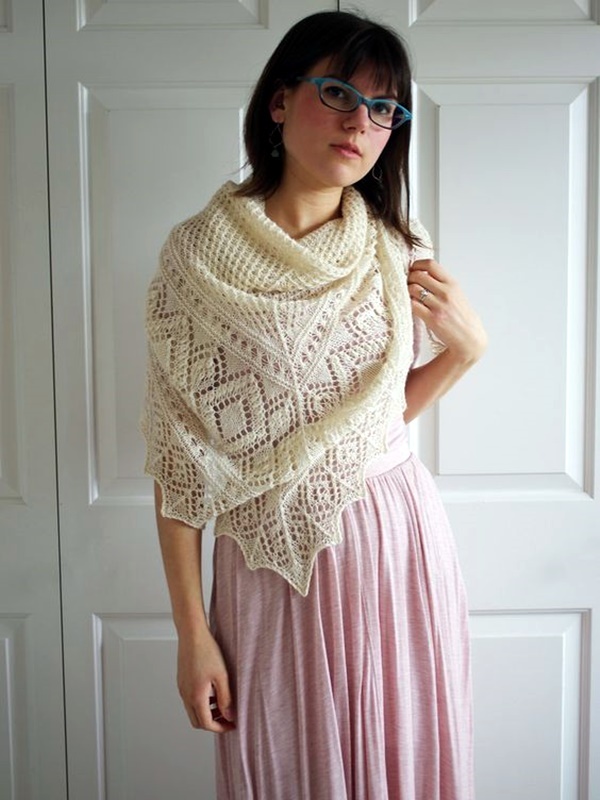 Then, wrap your favorite scarf around your shoulders like a shawl and make a half knot at the back with the ends…so cute, yes! After that, pull the ends tights and up high on your back. At last, pull the scarf fabric down to cover the ends. Well, we understand it’s hard to believe girls that infinity scarf can also be worn as a shrug, but that’s true! 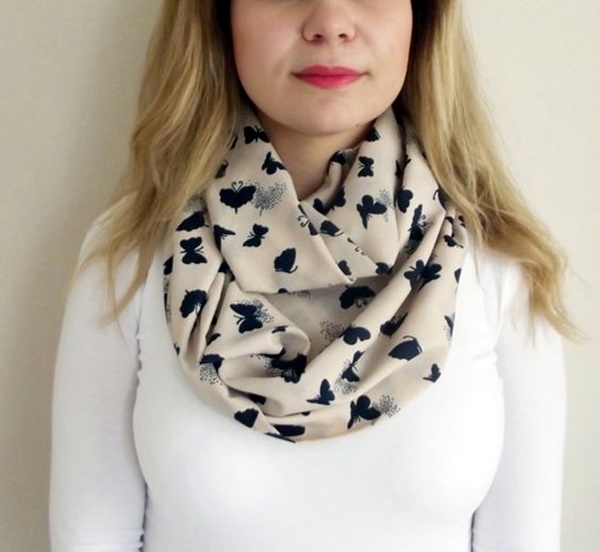 This one of the popular scarf draping ideas works best with larger pieces! Here is the answer to the footwear that a lady must have in her closet. 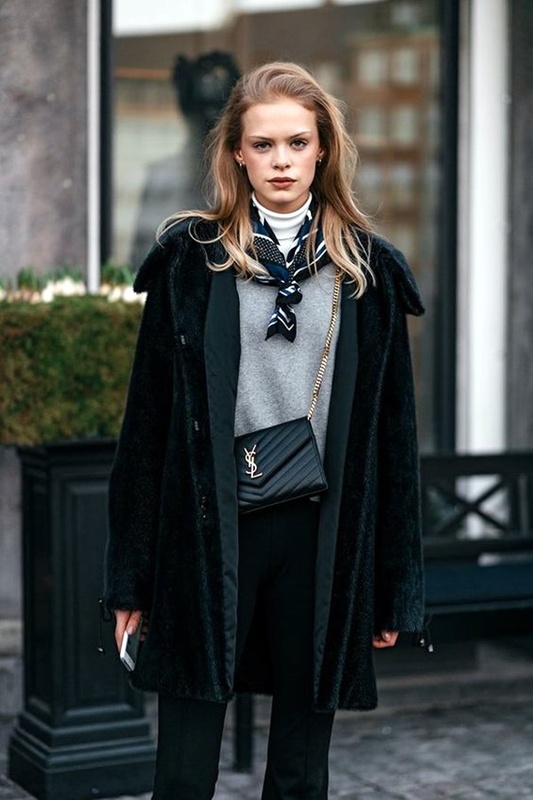 To achieve this, you need to wear the scarf like a vest and then spread the fabric covering your back in an elegant way. The versatility of this accessory is never-ending. You can also wear it in a front tie style. 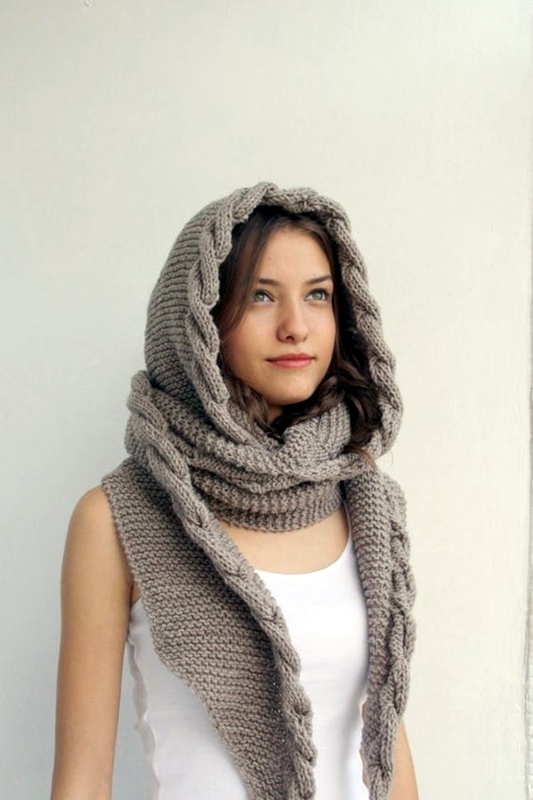 To do this, drape the scarf evenly around your neck and let it hang. Your second step is to cross and tie the two ends in the center. Adjust them, so that it looks fluffy! Quite easy! Simply spread out the fabric and drape it over your head. Then, toss one end over one shoulder. Later, throw the remaining end across the other shoulder and it’s done! So, fashion-forward gals! 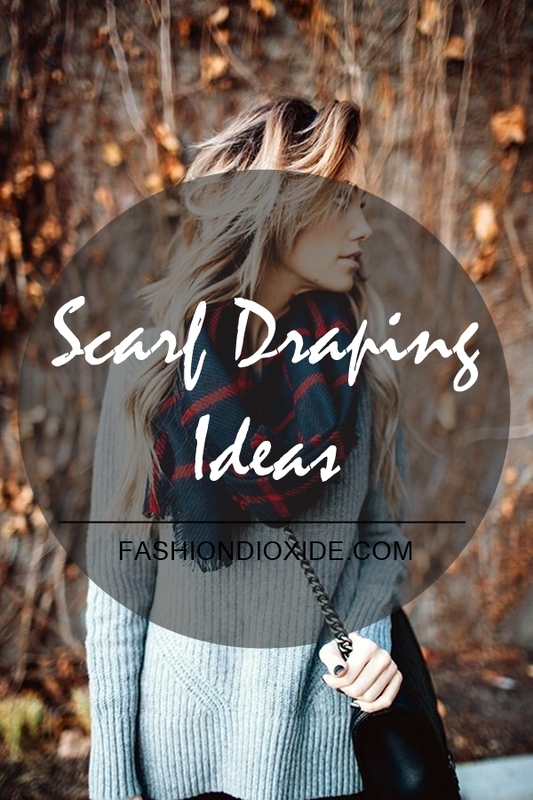 We hope these scarf draping ideas will help you narrow down your options and make your outfit look fabulous, if you choose the scarf wisely and assemble it in a right way!